The J.E.T. 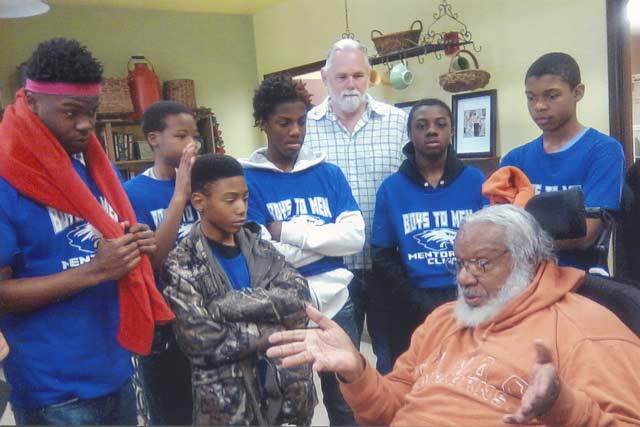 Boys to Men Club visited the Edgefield County Senior Citizens Council Inc. in Edgefield. The club gave gift bags to the seniors and staff members who were present. The club members spent time fellowshipping, asking the seniors questions about their past and listening to their stories as they reminisced about days of their youth. Victor Love, J.E.T.Coach/Mentor, even got in on the storytelling. The picture-taking was fun-filled and the best ever along with the beautiful center’s atmosphere. Larry Bowe, Director, and Mrs. Gail Dorn helped to make this visit for the club one of the greatest times ever. L to R: Za’cary Bush, Darius Caldwell, Mrs. Ruth Gallaway, Kendall Stover, Travis Moore, Dante’ Hollaway, Jaylin Brown, Charles McCoy. 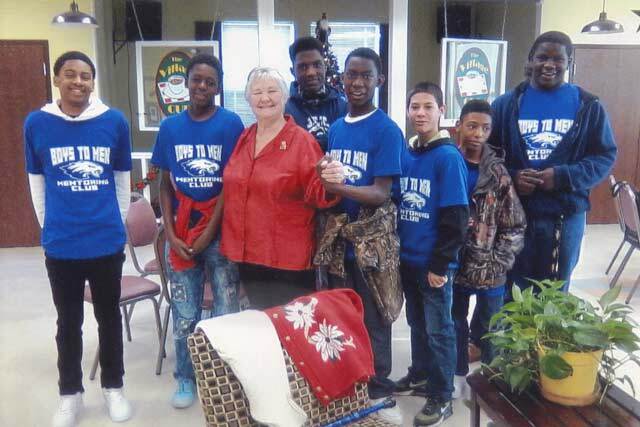 Officer Archie Hill, Mentor, and Ruth H. Mack, Activity Coordinator, also accompanied the club members on the visit. Mr. Stephen Hampton, J.E.T. Principal/Mentor is also a key element to this boy’s club. He continues to inspire, encourage and challenge the young me to develop a well-rounded perspective of their educational and personal goals for their lives.